Data center operators are always looking for the next generation of technology to utilize within their facilities. This is especially true for cooling arrangements. Cooling systems are one of the most critical within a data center, as they are relied upon to remove excess heat to prevent equipment from overheating and keep servers in top working order. However, the massive amounts of energy these systems consume compels industry leaders to find ways to improve. One of the newest innovations experiencing rapid adoption in data center environment controls is liquid cooling. These systems are not only being installed within an increasing number of facilities, but they are also being recognized and awarded for their myriad of benefits. Recently, computer liquid cooling solution provider Asetek was awarded the "Future Thinking & Design Concepts" achievement for its RackCDU system, according to the Storage and Destruction Business Magazine. "It is an honor to have our data center liquid cooling innovations recognized in this way," said André Sloth Eriksen, Asetek founder and CEO. "This award further validates our solutions' ability to address the growing problem of energy efficiency in the data center." The RackCDU arrangement is unique in that it utilizes hot water in a direct-to-chip system to lessen the presence of excess heat from central processing units, graphical processing units, memory modules and other server hotspots. The technology also features an all-liquid path for cooling, in which excess hot air is exhausted into the outdoor environment. The system allows facilities to cut their cooling expenses by up to 50 percent, and provides up to five times the density. Additionally, the arrangement can be configured to recycle the air within the data center for other heating or cooling needs. The recently released system is already receiving widespread attention as more customers utilize it for their cooling needs. Datacenter Dynamics reported that Asetek received its second order at the end of November which called for five RackCDUs with cooling loops to be used on 385 compute nodes within an undisclosed Japanese University facility. The Uptime Institute, which recognizes organizations for data center efficiency and sustainability, recently presented an award for collaborative efforts among 3M, Iceotope and the University of Leeds. The organizations worked together to create the Iceotope Solution for data center cooling which utilizes Novec Engineered Fluids for liquid chilling purposes, according to 3M. The system features heat pipe modules carrying the fluids throughout server surfaces for warm air removal. 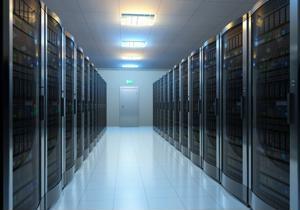 The technology is also uniquely quiet, and does not need cooling outside the cabinet arrangement, which can lead to significant savings for data centers. 3M stated that this can lower electricity utilized for cooling by up to 97 percent. The Iceotope Solution utilizes 80 watts of electricity and has the capability to cool up to 20 kilowatts of IT equipment, according to Data Center Knowledge. The system is also completely enclosed, according to Nikil Kapur, a researchers and faculty member at the School of Mechanical Engineering at the University of Leeds. "It does not interact with its environment in the way an air-cooled server does, so you could put it in an extreme environment like the desert," Kapur said. "It is also completely silent. You could have it on a submarine or in a classroom." Despite these recent innovations in liquid cooling arrangements, data center facilities will continue to require temperature monitoring systems in addition to these technologies to ensure equipment is kept within the best temperature spectrum. Data center operators can also install a high temperature alarm, which can alert key employees in the event that cooling systems fail and the server room temperature goes above the set range. With this kind of system in place, data centers are constantly monitored for optimal performance of IT equipment.